A 21-year-old man has admitted assaulting a former partner to her severe injury. 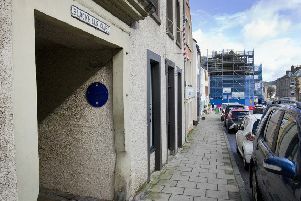 Dylan Hislen pleaded guilty at Jedburgh Sheriff Court to pushing Sophie Yorke to the body and punching her to the head in Hawick’s Lothian Street on September 12. He also admitted behaving in a threatening or abusive manner by shouting and swearing and kicking refuse bins. Sentence was deferred on Hislen, of Hawthornbank, Duns, until April 29 for background reports.